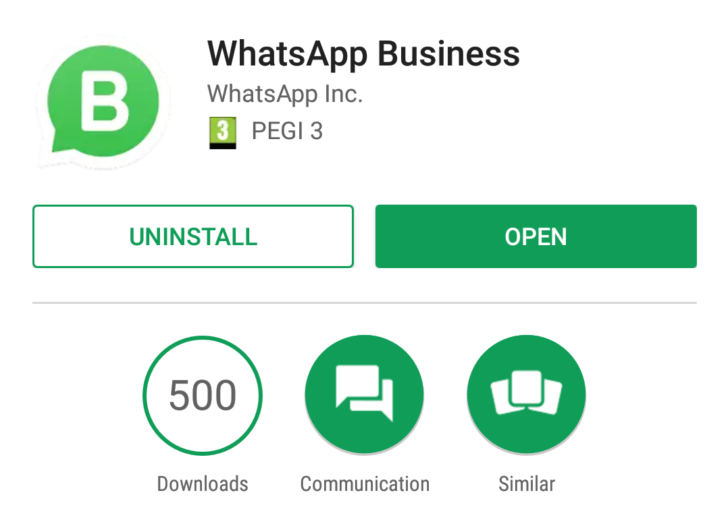 WhatsApp Business App: WhatsApp is already testing a Business app and now the APK file is ready for download. According to a report on AndroidPolice, while the APK for WhatsApp Business is listed on APKMirror, users can only try this out if WhatsApp has approved their business for testing. Users will remember that when WhatsApp had announced Business services were coming to the messaging platform, it had asked for a survey. Only businesses which have been approved via this survey can access this separate app for now. The report points out this business app will let account managers keep personal and business accounts separate. It also comes with landline support, though how this will work will be interesting to see. Regular WhatsApp doesn’t support landlines. In a market like India, this particular feature could be really useful for small businesses, where there is a dependency on landlines. Users can run the personal and business WhatsApp simultaneously, adds the report. The business owner can register a different mobile number for this particular app, according to the instructions. The WhatsApp Business app will have a setting for the Business where the user/account manager will be able to see the messages sent to customers, though the kind of analytics around it is basic. It is currently limited to Messages sent, received, delivered, read, etc. There’s also the option of setting up business details like the website, address, along with an ‘Away Message’ which will be auto-delivered to customers. WhatsApp has indicated it could charge the larger enterprises for the Business solution. Given WhatsApp has 1.2 billion users, this will mean a big change, especially in the Indian market where the company has more than 200 million active users. WhatsApp has said it will allow users the option of blocking any service on the app and thus keeping out potential spam. The new Business angle could mean a major revenue source for WhatsApp, which is the world’s biggest instant messaging app. In explaining how the WhatsApp for Business actually works, the messaging platform illustrates certain instances to make it easy for the users to choose the best option that works the best for them. –If a user wants only a business account on WhatsApp: All that the user needs to do is, first register for the WhatsApp for Business app, and then transfer all their business contacts to WhatsApp Business. This option is most sensible if the user doesn’t wish to use WhatsApp for personal conversation and wants it for business purpose. –But, what if a user wants to use WhatsApp for both business and personally? Such users, as WhatsApp explains, need to register or use a different phone number for WhatsApp Business. This means that the user needs to download both – WhatsApp Business and the official WhatsApp application on one phone – but both the accounts can’t be registered with the same number. –If a user wishes to use separate phones for business and personal purpose, it is an easy and simple process. This is the best option if the user wishes to keep their personal and business conversation completely separate. The process is simple, download WhatsApp Business in one phone, and the official WhatsApp app on the other. Note: Explaining how businesses can use WhatsApp Business, the messaging platform also notes that businesses will also be able to register with landline numbers, which isn’t currently available on the official WhatsApp application.